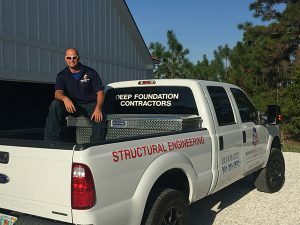 Foundation Masters, LLC, to date, is the only Certified Foundation Repair Company and Engineering Company specializing in Foundation Repair in Florida. Foundation Masters, LLC has been Certified as an Foundation Repair Expert by the Foundation Repair Experts Association, (F.R.E). Foundation Masters, LLC Engineers, Civil Engineers, Structural Engineers and Geotechnical Engineers. If you are buying a home and there has been a Foundation Repair by Foundation Masters, LLC than you are buying a lifetime transferable warranty, (with NO fine print) Certified Foundations by the BEST Foundation & Structural Repair Company in the United States. Please feel free to call our office and request an onsite walk through of that Foundation Repair project, or to speak to the Engineer of record on that project. We want you to fully understand the importance of buying a Home that has been repaired verses a home that will face a repair of some sort in the future. If you are facing a Foundation Repair Project and are getting bids for Foundation Repair. Foundation Masters, LLC is a licensed Civil Engineering Company in Florida, specializing in Foundation Repair.. We would love the opportunity to work with you in this difficult time. Foundation Masters, LLC will give you a Free inspection with preliminary Foundation or Structural repair plans and a detailed contract..